Photo by Jorge Guerrero, courtesy of Yahoo! Stephanie Landblom wrote this blog entry for the course “Language and minorities in Europe” (FRIT 418) in Spring 2016. She is a graduate student in Linguistics at the University of Illinois at Urbana-Champaign. Her research interests include second language acquisition with a focus on second language phonological acquisition. Despite the fact that bilingualism and multilingualism is a common phenomenon across the world, it is often mired in controversy. For instance, much has been said about whether being bilingual puts speakers at a cognitive advantage or disadvantage, which is especially relevant to parents trying to raise their children in a global society, immigrant parents, as well as for governments considering linguistic educational policies. Decades ago, it was widely believed that being bilingual only put speakers at a disadvantage. Nowadays, however, research arguing for cognitive advantages have been increasingly popular in the media (eg. The New York Times' article, "The Bilingual Advantage" and Psychology Today's article, "When Does Bilingualism Help or Hurt?"). Cognitive advantages or disadvantages may not be the only issue of importance in deciding when to raise children bilingually or to foster a bilingual society, and it may not even play a role at all. More importantly, identity may play a role, especially when a group feels their cultural and linguistic identity may be threatened by a larger, more dominant ethnic or linguistic group. Sometimes it is not so important that a society is not bilingual, but rather not bilingual in their regional language and the other language perceived as a threat. We can see this to an extent in Spain. 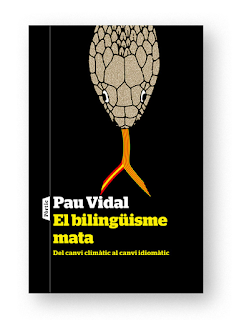 Pau Vidal, a philologist, has published a book entitled El Bilingüisme Mata (Bilingualism Kills). In an interview he gives to infowelat.com, he describes bilingualism as a transitional stage to substitution, specifically believing that Spanish-Catalan bilingualism in Catalonia is paving the way for Spanish to replace Catalan. Also, because all Catalan speakers will speak Spanish, it will be contaminated from contact with Spanish. It is well established that languages in contact tend to change, but how does this happen? One linguistic level on which this can occur is at the level of pronunciation. The knowledge of other languages can influence how you speak a second language, and in some cases can even change your pronunciation of your mother tongue. There has been a lot of interest and research carried out in Spanish-Catalan bilinguals in order to answer some of the questions about bilingualism. We will now take a look at what those studies show, specifically regarding bilinguals’ pronunciation of Catalan. There are vowel contrasts present in Catalan and not in Spanish. For example, the words néta (granddaughter) and neta (clean) in Catalan are differentiated by the pronunciation of the ‘e’, a difficult contrast for Spanish speakers. Researchers have examined how bilinguals can hear, pronounce and process words with this sound. One factor affecting their ability to hear the contrast is language dominance, by which I mean whether the speaker was raised in mainly a Spanish speaking or Catalan speaking environment, despite the fact they may be quite proficient in both languages. 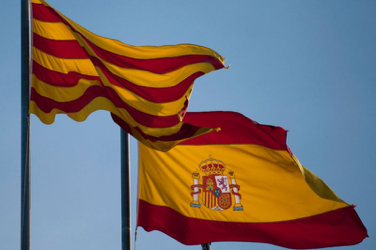 There are Spanish-dominant Catalan speakers, who have perhaps grown up in Spanish speaking homes and were exposed to Catalan at a slightly older age than Spanish. Conversely, there are Catalan dominant bilinguals, who speak Spanish at a native or near-native level but were exposed to Catalan at birth. Although these speakers may have similar fluency in Catalan and speak predominantly Catalan at home, Bosch & Ramon-Casas (2011) have shown that there are differences in the two groups. They had participants complete a production task, in which they were asked to record sentences with words with this vowel contrast. Results showed that both groups did produce two different vowels, however, the pronunciation of each group was slightly different. They also found that when producing words, the Spanish-dominant speaker group often produced the wrong vowel for that word. That is, it seemed as though they were unsure which vowel was supposed to occur in specific words, much more so than the Catalan-dominant groups. This can extend into processes of lexical recognition, or the recognition of words in spoken speech, as well. Pallier, Colomé & Sebastián-Gallés (2001) showed that Spanish-dominant bilinguals, but not Catalan dominant bilinguals processed minimal pairs (words differing in only one sound) in Catalan as homophones when they contain such vowel contrasts as the one discussed above. This means that they did not differentiate between words with these two different vowels, but rather heard them as the same word, or as a homophone. Such studies do not seem to represent a bleak outlook for bilingualism killing a language, especially if the threatened language is most speakers’ dominant language. If it is not, however, it seems that language change could indeed occur. However, as mentioned before, it is undeniable that language contact can induce language change. Therefore, more studies than these presented would have to be examined. Additionally, other linguistic areas would have to be examined, such as how bilingualism can affect the sentence structure or vocabulary. While it is important to preserve languages, we must be cautious in determining the true threats to the language, and be cautious by carefully measuring the pros and cons of bilingualism. Dreifus, Claudia. “The Bilingual Advantage.” The New York Times. N.p. 30 May 2011. Web 15 Mar. 2016. Bosch, Laura, and Marta Ramon-Casas. "Variability in vowel production by bilingual speakers: Can input properties hinder the early stabilization of contrastive categories?." Journal of Phonetics 39.4 (2011): 514-526. Olson, Kristina R. & Guirgis, Sara. “When does bilingualism help or hurt?” Psychology Today. N.p. 27 April 2014. Web. 15 Mar. 2016. Pallier, Christophe, Angels Colomé, and Núria Sebastián-Gallés. "The influence of native-language phonology on lexical access: Exemplar-based versus abstract lexical entries." Psychological Science 12.6 (2001): 445-449. “Pau Vidal: Bilingualism Kills.” Infowelat.com. May 06, 2015. Web. 1 Apr. 2016.